Interbrand’s ”best brands” survey for 2012 includes many of the usual world-class names. Note how many of these brand giants are also patent powerhouses in their own right. Nine of the top ten have significant portfolios, and at least five out of the top ten very large ones. 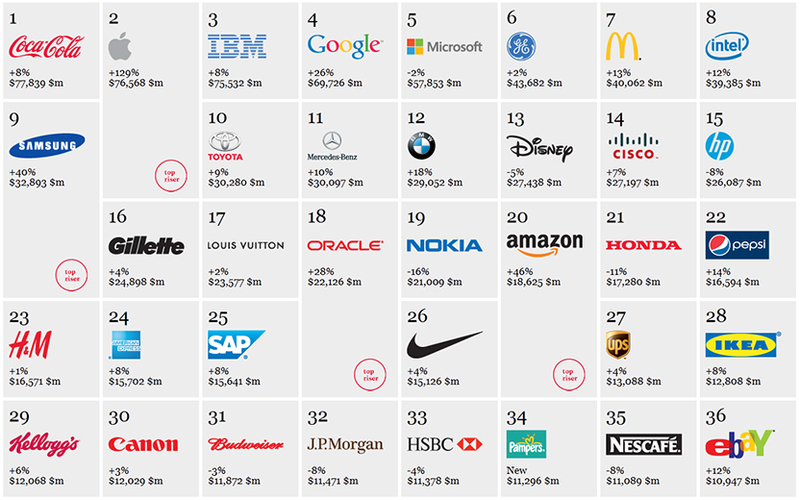 For 2012′s top 36 brands see the chart below. For the 100 best with an explanation of each, click here.